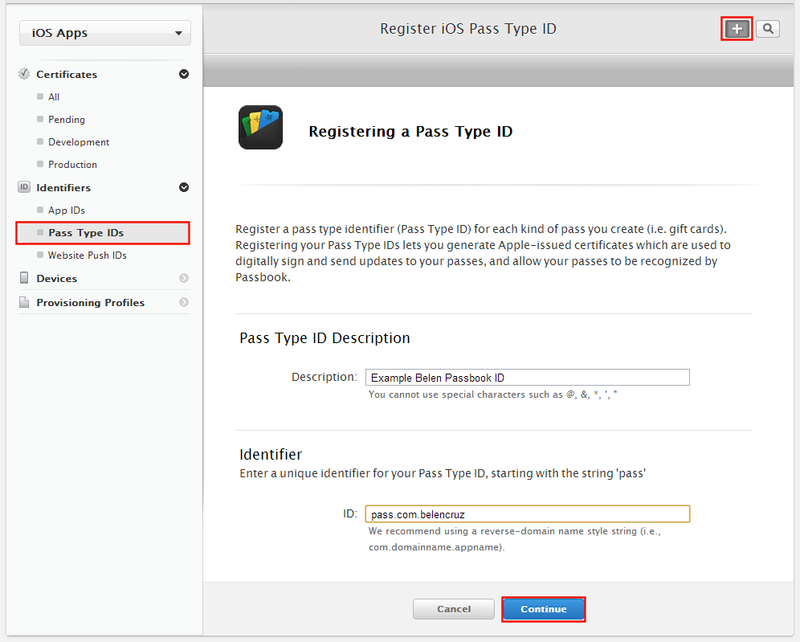 In order to create passes and allow them to be recognized by Passbook, they have to be signed with a valid certificate. The certificate is associated to a specific type of pass, so we need to create a Pass Type ID and a certificate for each kind of pass we want to support. To create a Pass Type ID, log in into your developer account, navigate to your member center and to the Certificates, Identifiers & Profiles page. In the identifiers section, select the Pass Type IDs option. From this page the passbook Type IDs are listed and we can edit them, delete them or create a new one. Click on the plus icon button to create a new ID. Type a description and type the ID which has to start with the “pass.” string. Follow the next steps and the ID registration will be completed. The new ID should appear in the Pass Type IDs list. 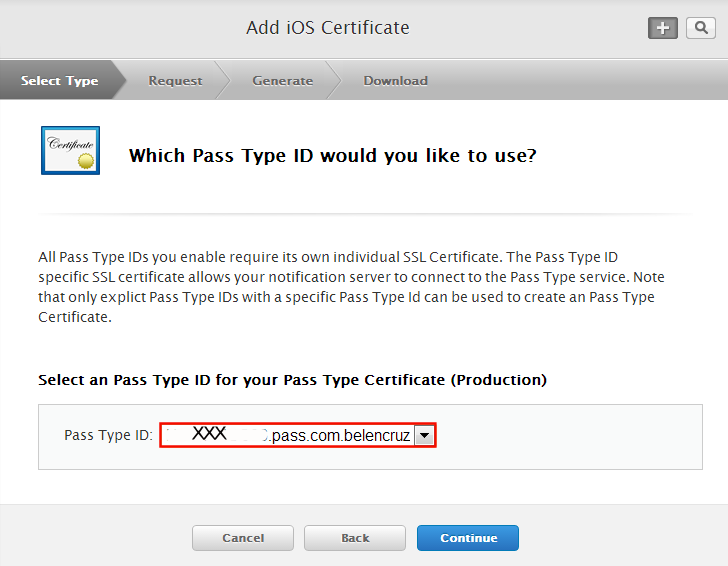 To create the Pass Type ID Certificate, open the Production page from the Certificates section and click on the plus icon button to create a new one. 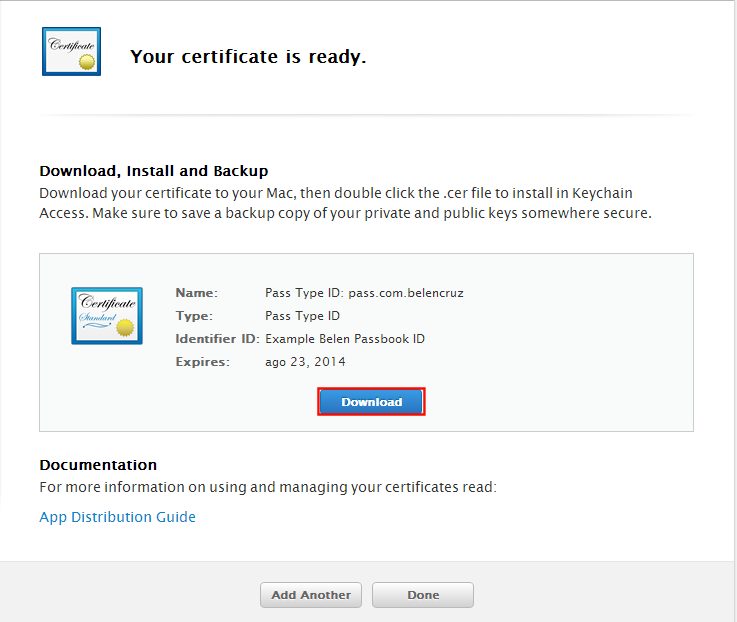 Check the Pass Type ID Certificate option and click on the Continue button. In the next page we have to select the ID created before. Click on the Continue button. Finally we have to upload our Certificate Signing Request file (.certSigningRequest). 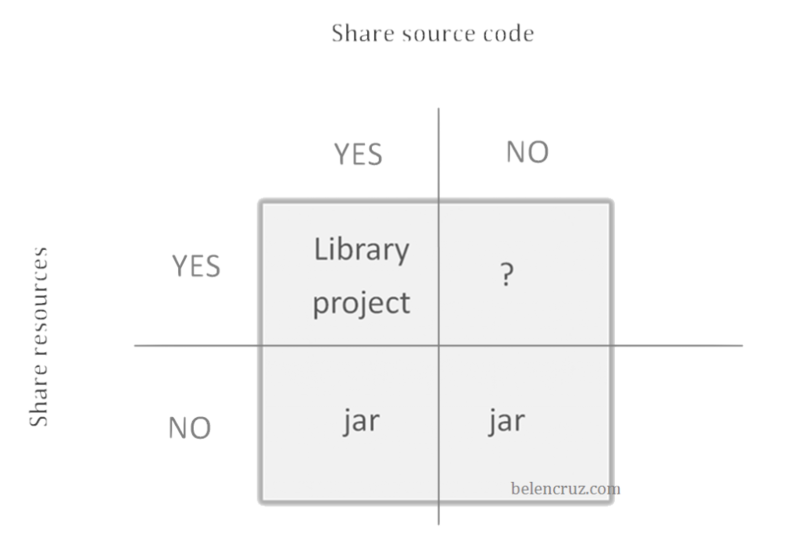 This request file can be obtained from the Keychain of a MacOS computer, but probably you already generated it when you created your app or created other certificates. Upload this request file, click on the Generate button and then we willl be able to download the certificate by clicking the Download button. The downloaded certificate is a .cer file.